Yes, you heard right! After passing our Health Department inspection last week, then scrambling around to get ingredients ordered, we managed to pull together our first brew session this past Saturday, the 14th of November. 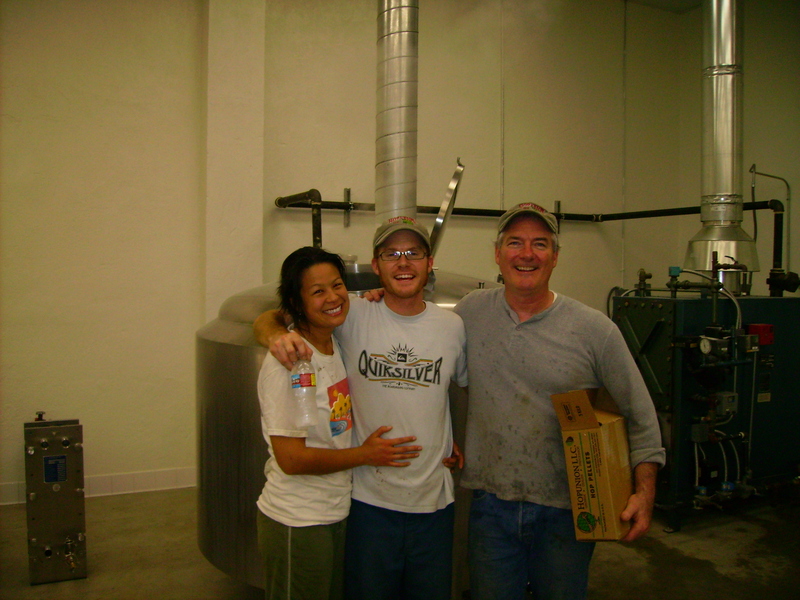 Being our first batch on this system, we figured it would be a very long, hard day of work, and we were certainly right about that…From start to finish it took us 19 hours! 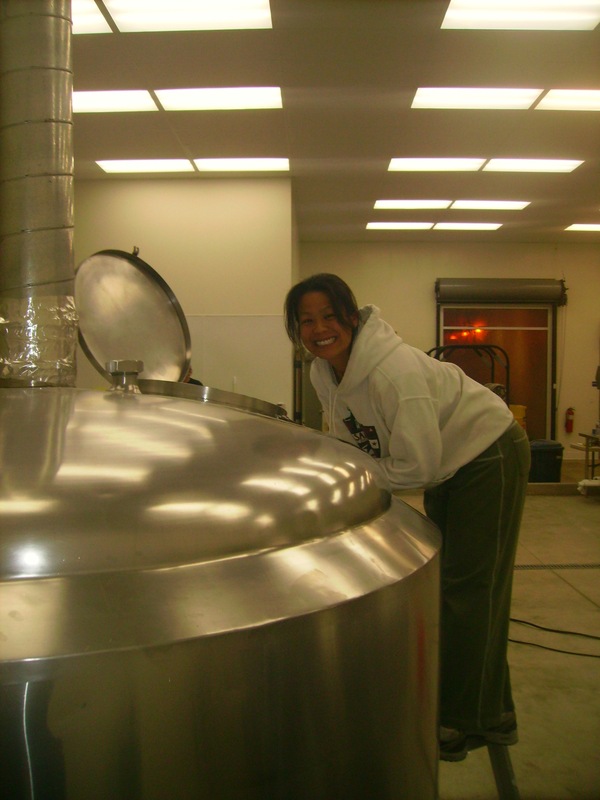 Somehow though, there seems to be just a little bit less stress knowing that we have beer in our fermenters. Here’s a few photos of the day. We were scrambling around so much for the first half of the day though, we didn’t manage to get any pictures of the mash-in. Oh well, there’s always next time…. Here’s my dad setting up to do some transfers. 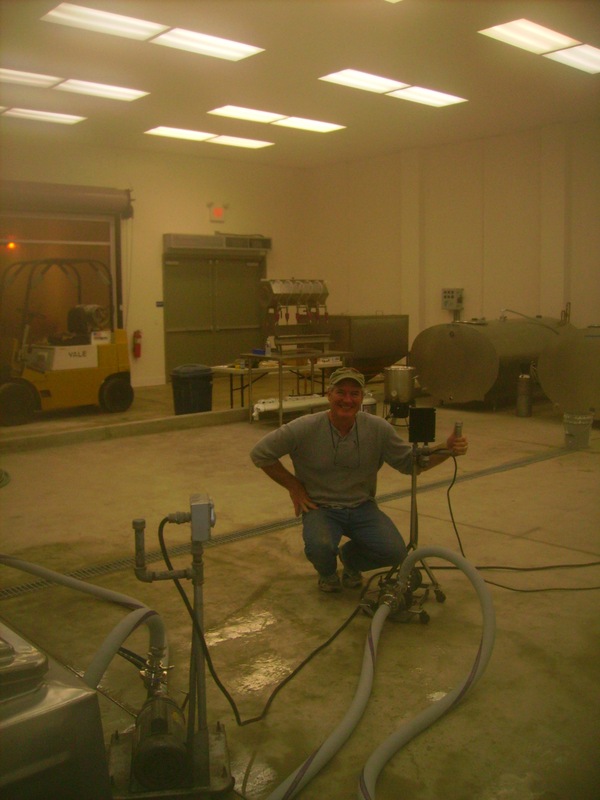 The pump he’s working on is receiving the mash run-off and transferring it into the kettle. 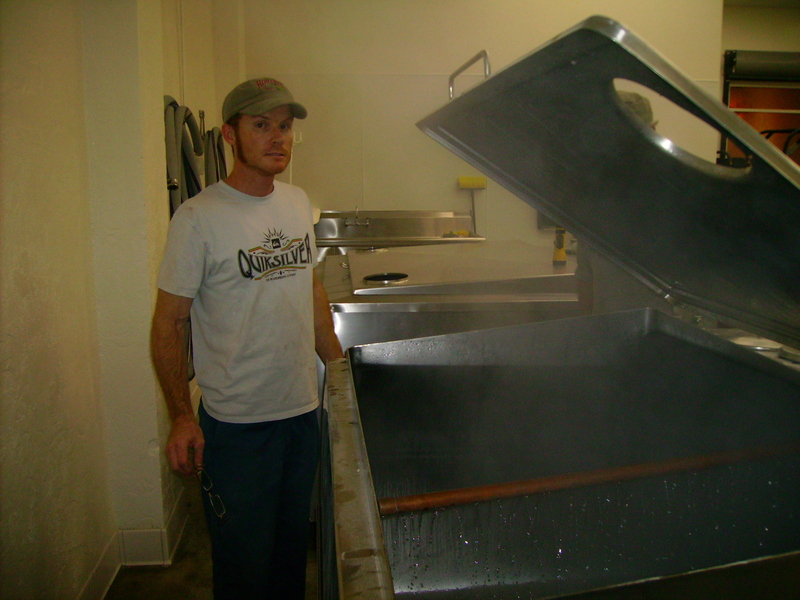 The pump in front of him is pumping the hot water into the mash tun for our sparge. You’ll notice most of these pictures look a little hazy…We were surprised at just how humid it got in there throughout the day. Downright tropical even. 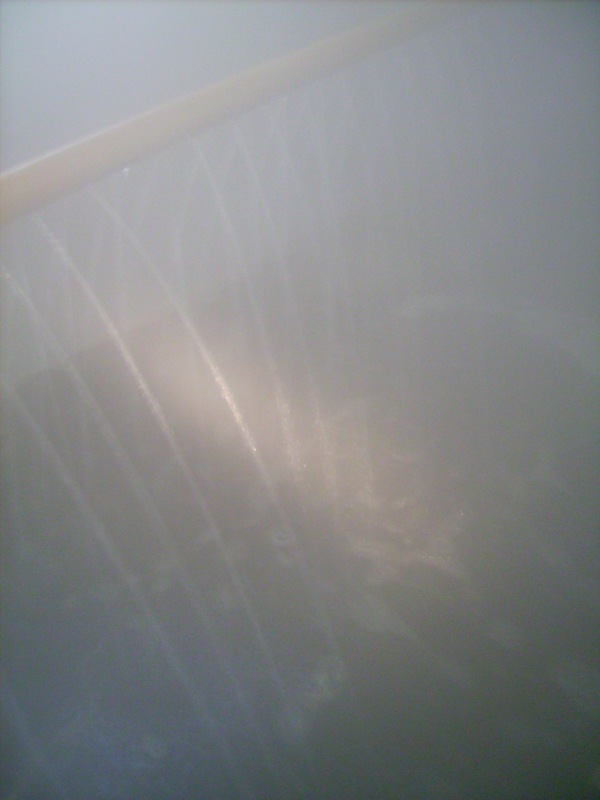 And here’s part of the source of the humidity…our sparge arm (on the right). 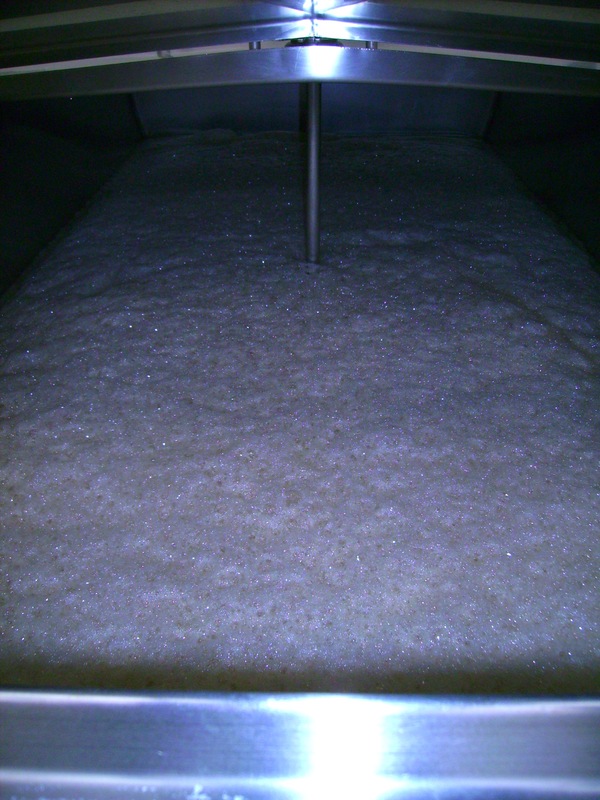 For those who don’t know, sparge is a German word meaning “rinse”, so we’re basically just rinsing our mash with hot water. 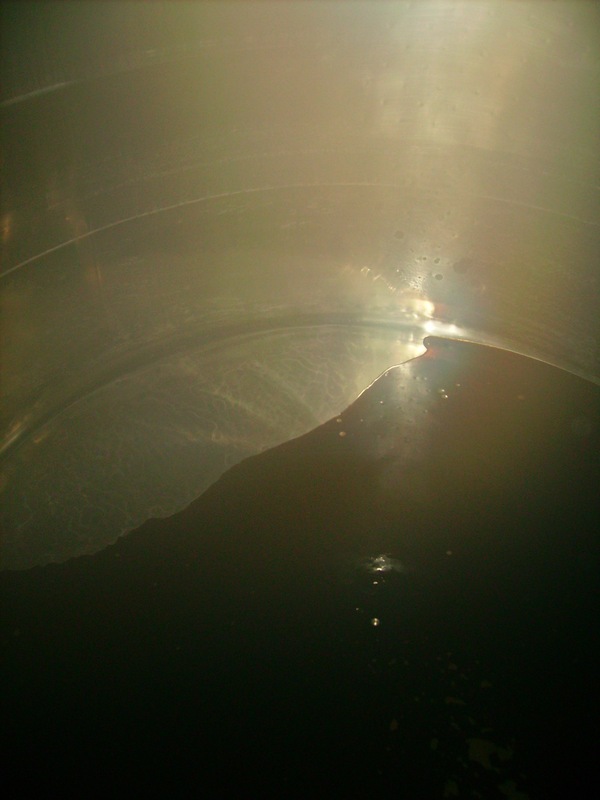 Ah, the first wort flowing into the kettle…a beautiful sight! 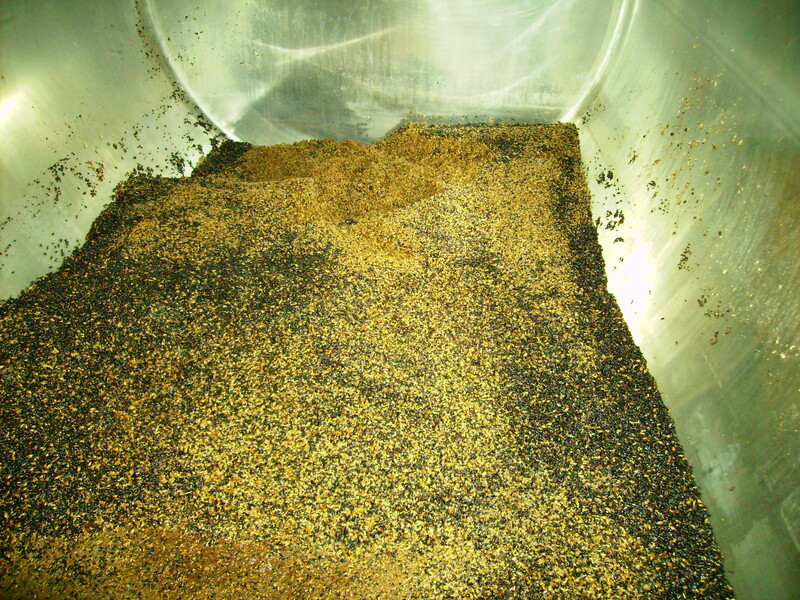 Either way, you’ll notice there is no “grain shute” from which to eject the spent grains. So in other words, climb in and start shovelling! 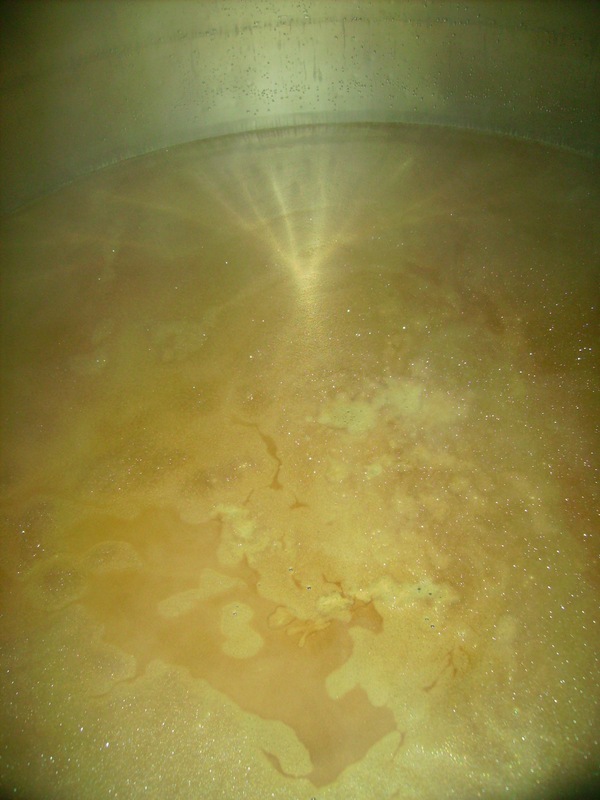 And finally, here’s a picture of our finished wort! Yeast pitched and ready to begin fermenting. Hello out there in blog land! 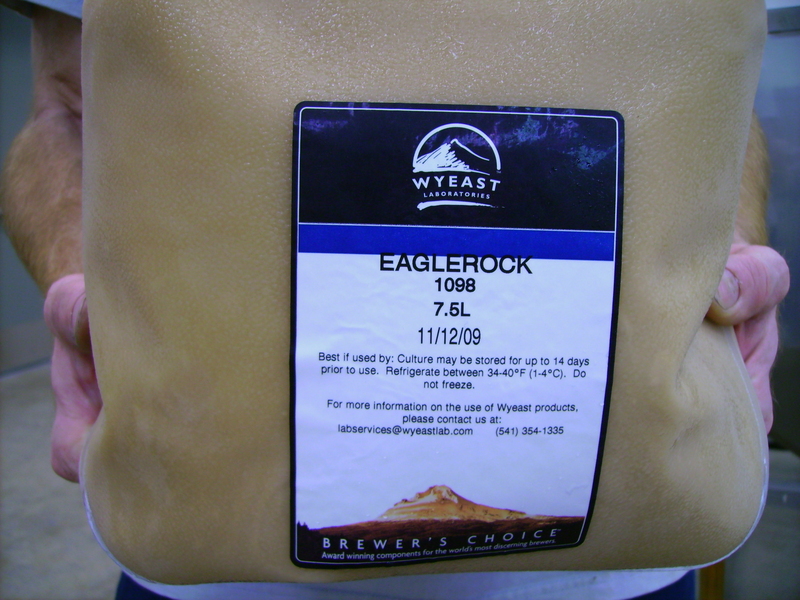 You’re probably wondering what on earth is going on over at Eagle Rock Brewery that they haven’t blogged in over a month. Or maybe you’re not wondering at all…Either way, I know that everyone is getting very very thirsty, and probably a bit impatient. Yes, it is true that we haven’t blogged in over a month, but suffice it to say that we’ve been extremely busy getting the brewhouse completely finished and ready for brewing. In just the last 4 weeks, I’ve discovered new levels of pain and exhaustion, and a level of stress that I never knew existed. Insanity was only the beginning. Well, that’s all the energy I can muster for now. More updates and pictures to come soon…Hang in there friends…we’re almost there!